Try 2 Recycle is a full service recycling center dedicated to providing quality without compromise. Our goal is to assist individuals, businesses, environmental entities and other organizations that are committed to preserving the environment, and promote conservation of natural resources by recycling materials that would otherwise to go landfills or be destroyed by some other means. All of our employees are courteous, experienced and competent. We pay the highest possible prices for the materials that we accept. We are fully insured and licensed and committed to providing the highest standard of quality to each and every customer. So whether you need assistance in developing a sustainable recycling program or would just like to dispose of a few items, you can count on us to recycle these materials in a safe and ecological manner. For more information, give us a call at 936-293-1612, today! Now you can stop and look at which of these materials you have the most. To get your family members or co-workers to join you in this recycling effort, start with one or two items. Get a couple of containers and tell them that you would like for them to join you in recycling. I have found that if you don’t overwhelm them with a lot of different items, especially at first, the participation rate will be higher. Once you have made a list of what items you have to recycle, you will need to do a little investigating work to decide where you will need to take these recyclables. On your way to work, be looking for a place to drop off these items. If you have a large amount of recyclable materials, some companies will pick them up. 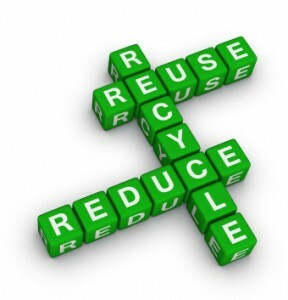 Recycling is good for the world we live in, and it can be a cost saver for you if you participate. If you have a large volume of material to recycle on a regular basis, we offer pick up services over a large area north of Houston. Send us a message telling us about your recycling needs and you may find that we can help you! Try2Recycle on Thanksgiving! Comments Off on Try2Recycle on Thanksgiving! High Tech in Trash Industry? Comments Off on High Tech in Trash Industry?